Amytrophic lateral sclerosis (ALS), commonly known as Lou Gehrig’s disease, is an equal opportunity disease. It can hit any person at any time, killing its victims by attacking the nerve cells in the brain and spinal cord. According to the charitable organizations that try to help those afflicted with ALS, each year about 8,000 Americans are diagnosed with this incurable condition. At any given time, roughly 30,000 Americans are in the various stages of ALS. The combination of those two numbers tell a grim tale—once one becomes an ALS victim, time on this earth runs short. 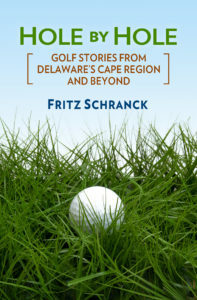 And once John Feinstein learned that long-time PGA Tour caddie Bruce Edwards had contracted ALS, the best-selling sportswriter knew the subject of his next book. Drawing upon his long friendship and association with Edwards, the two men quickly came to terms about how Feinstein could help Edwards leave a more permanent legacy about his life and times. In many ways, Watson was correct. Edwards had a life well-worth celebrating. Feinstein uncovered some of the early family influences that helped shape this remarkable man. He grew up in comfortable surroundings in Connecticut, one of four children. Some of his academic difficulties might have been traced to an undiagnosed case of ADD, but the plain fact is that there are many paths to maturity and making a real contribution in one’s life. Edwards simply didn’t follow the normal upper-middle class schedule of high school, college, perhaps grad school, and then the career. Instead, he began working as a caddy while a teenager, and simply never accepted the notion that lugging a golf bag full of clubs, reading greens, and helping professional golfers meet their goals was a temporary stop on the way to something better. For Edwards, there simply never was anything better to do than caddying, and he excelled at it. He was lucky, of course, in finding himself paired up with Watson. The two men’s personalities meshed well, and as both admitted to Feinstein, they became closer than brothers. A short, unsuccessful stint caddying for Greg Norman was the only extended break in the working relationship between Watson and Edwards, and Feinstein shows how both men worked through the emotional turmoil that the separation created. Norman’s contribution to this part of the biography is especially revealing and impressive. Feinstein is brutally frank about how Edwards’ first marriage ended—badly is perhaps too nice a word to use to describe it. Not long thereafter, however, the caddie was deeply fortunate to find true love with his second wife, Marsha. Shortly after they were engaged, however, his previously undetected ALS symptoms forced him to the Mayo Clinic for the tragic confirmation of his condition. Their marriage date was moved up, and she soon came to exemplify the part of the wedding vows no one wants to face. Writing such a biography under these conditions, as Edwards slowly lost his battle with ALS, must have been a wrenching experience for Feinstein. As with his other writings, however, he easily met his goal. This book is a bestseller, for all the right reasons. I’m sure Bruce Edwards would be happy to know that thousands of ALS victims and their families will benefit from the efforts of Feinstein, Watson, his wife, and many others. He left behind a remarkable legacy.